New drivers typically pay more for insurance because they are in the high risk category. With that said, there are many factors you can control to help you receive a lower rate. 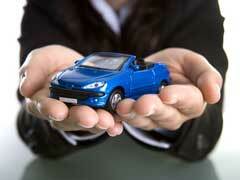 Here are five ways you can receive inexpensive car insurance. 1. The first deals with the car you drive. While you may want something sporty, it’s important to note that insurance companies give the best car insurance rates to those who select safer cars. Therefore, if you want affordable car insurance, you may want to choose from the top ten safest cars as this will ensure you receive a good premium. 2. Next, to receive inexpensive car insurance you want to take advantage of all the discounts your company offers. Many will give discounts for good grades if you are a student, multi car discounts and family discounts if you have others in your household with a policy from the same company. By exploring these options it can help you have the lowest car insurance rates for new drivers. 3. You’ll also want to tout all the safety features your vehicle has. If you have a car equipped with anti-theft devices it can help reduce your premium. Many insurance companies will view this as minimizing their risk as you have taken safeguards to protect your car from being stolen. 4. Another way to receive inexpensive car insurance is to buy only the policies you need. If you own your vehicle, check your state’s requirements for basic coverage. This can prevent you from buying coverages you do not need thereby saving you on your insurance costs. 5. Lastly, being responsible with your finances is a great way to receive inexpensive car insurance rates. Most companies check credit histories, as this is a way they can determine the carrier’s risk. If you have a lower credit score, you may have to pay more for a policy as the insurance company deems you a higher risk. While being a new driver can put you behind the eight ball when it comes to buying insurance, these five tips can help you reduce your premiums.